I’ve been busy working on writing longer pieces, so I apologize for not posting more here, but I wanted to share another act of hope. Last year I shared this post about acts of hope in general, and I am always looking out for these small acts. A couple of months ago while I was doing my daily walk, I noticed an older woman that I hadn’t seen before at the park where I walk picking up trash a little ways in front me. I caught up with her and had to ask her what she was doing. 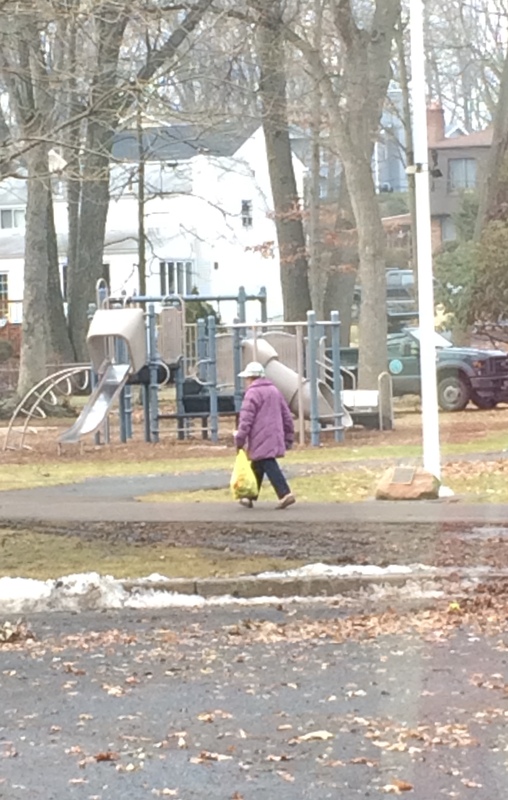 “Are you just picking up litter?” “Yes…” she answered, pretty uninterested in my curiosity. “That’s really great…thanks for doing that,” I said feeling kind of foolish. Then she added, “Well, I like walking and I like this park, so it’s really simple.” I found out she didn’t even live in the area anymore but was visiting a grown child. Her words stayed with me and reminded me of my spiritual director, Gladys’, words once. “It’s really very simple,” she had said, about how she just woke up every morning, and journaled, basically asking God to show her what to do with that day. She was 95 and passed away this past November and I miss her words of wisdom very much. “I like walking and I like this park…” “It’s really very simple,” Gladys had said to me with a smile. I will try to live simply like this. I am so thankful you write and share your heart. I always love to get a notification that you have written another post. Thank you….thank you….thank you ! Thanks. That makes me want to keep writing. Simple and beautiful. I am starting my day with the idea you planted here. Thank you for your inspiration. Your words have helped me through the loss of my husband for the past 5 years. I look forward to the notifications when your words arrive in my inbox. I am so grateful! That made my day. Thanks for reading.